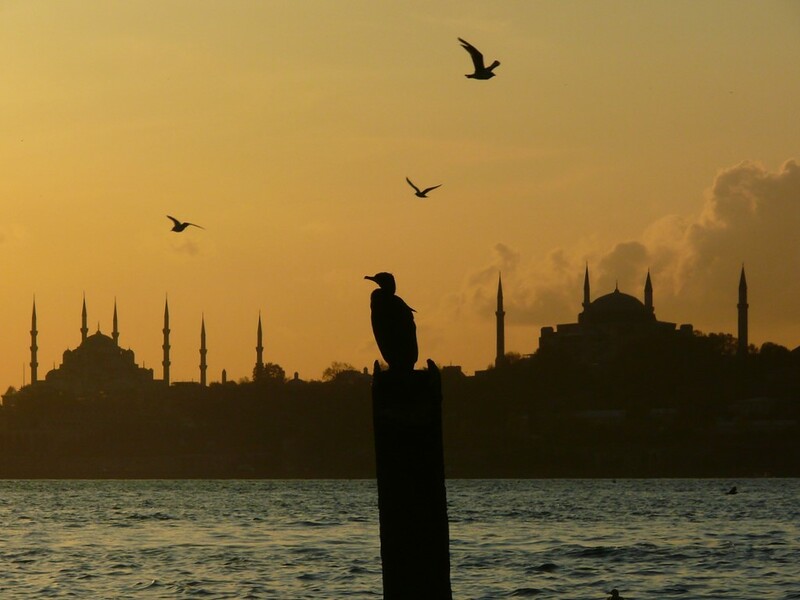 Constantinople and Istanbul: two names for one great city, the capital of the mighty Byzantine and Ottoman Empires. Istanbul is the only metropolis where East literally meets West as it bridges two continents, Europe and Asia. Its shores are bordered by the Sea of Marmara, the Golden Horn and the Bosphorous Strait, with its monuments spanning over seven hills. Minarets and domes dominate the famous skyline and a stroll through the streets reveal the city’s diverse and magnificent heritage. The Haghia Sophia, the great cathedral of Byzantium, the architectural marvel with its marble and mosaics, vies with Ottoman mosques clad in beautiful Iznik tiles. The Topkapı Palace, the luxurious residence of the sultans with the elegant fountains is a stones throw away from the terraced houses and bustling covered markets. Every visit to Istanbul is an adventure and a feast for the senses. It is one of the most fascinating and vibrant cities in the world. We spend the day exploring the outstanding historical monuments, beginning with the Hippodrome, once Constantinople’s great arena for chariot races and public entertainment. We continue to the mosque of Sultan Ahmet, also known as the ‘Blue Mosque’, unique in Turkey with its six elegant minarets. From there we walk the short distance to the Yerebatan Saray, an extraordinary underground cistern, before we visit the majestic great church of Haghia Sophia. The visiting order to the sites may change in order to accommodate closure days along with your preference.